Baseball season is just getting underway, and this spring and summer you can see the Brew Crew and the Zoo for one low price! 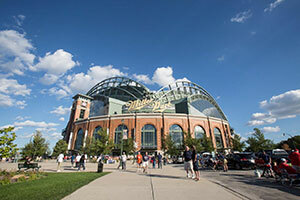 For just $20, you’ll get one Terrace Reserved ticket to select Brewers games, one adult general admission ticket to the Milwaukee County Zoo, and a free water bottle. For an additional $10 per package, upgrade your seats to Loge Outfield Box. Ticket package is not available for purchase the day of the game. For more information, please visit brewers.com/zoo or call the Brewers at 414.902.4000. Offer ends September 2.